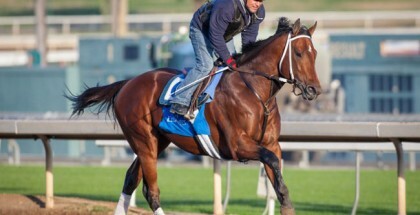 Home » Lady's Picks » Pennsylvania Derby 2013; Join the Will Take Charge Bandwagon! Pennsylvania Derby 2013; Join the Will Take Charge Bandwagon! The 34th running of the Pennsylvania Derby takes place Saturday September 21, 2013 at Parx Racing in Bensalem, PA. The $1 million 1 1/8 mile race features some of 2013’s top three-year-olds as they make their final prep before the Breeders’ Cup World Championship. Will Take Charge is the heavy favorite in the Penn Derby among the experts with 2/1 odds. Will Take Charge has always been on LATT‘s radar win or lose! Will Take Charge is set to win the 2013 Pennsylvania Derby with jockey Luis Saez on Saturday, September 21, 2013 at Parx Racing. D. Wayne Lukas, who has never won a Pennsylvania Derby throughout his Hall of Fame career, trains Will Take Charge who enters the Penn Derby with jockey Luis Saez. After a shaky start to his three-year-old campaign, Will Take Charge won the Travers Stakes and seems to be steadily improving with time. The Willis D. Horton owned colt is the “hot topic” in horse racing as he may possibly end up the champion three-year-old of 2013 even though he flopped at all three jewels of the Triple Crown. What’s interesting about Will Take Charge is the colt’s jockey Luis Saez was accused by Moreno’s trainer, Eric Guillot, of using “electrical devices” in the Travers Stakes. Moreno’s camp insisted the electrical devices made Will Take Charge run faster than he should have. Moreno lost to Will Take Charge by just a couple of noses in the Travers Stakes, so the Pennsylvania Derby is somewhat of a rematch between the two. Moreno will break from post position #3 with Jose Ortiz on the mount. 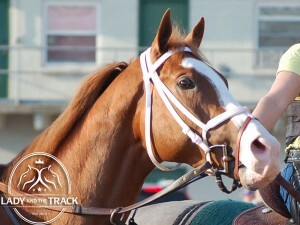 Will Take Charge and Moreno will face six other Pennsylvania Derby contenders including Speak Logistics, with 5/1 odds. Speak Logistics will break from the rail in the Pennsylvania Derby with Paco Lopez on the mount. 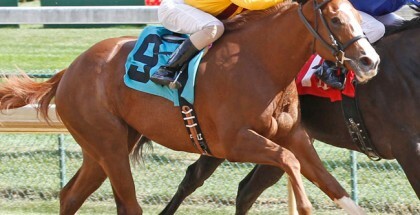 Last out, Speak Logistics finished in second place behind Edge of Reality in the Smarty Jones Stakes on September 2nd. Parx Racing Fun Fact: To Honor And Serve currently holds the PA Derby Stakes record with a finish time of 1:47.1 in 2011. In 2012, longshot 19-1 Handsome Mike crossed the finish line first paying his fans $40.40! Trixie’s Pixies: Personally, I’ve always been a huge fan of Will Take Charge win or lose because he is the half-brother of Take Charge Indy. 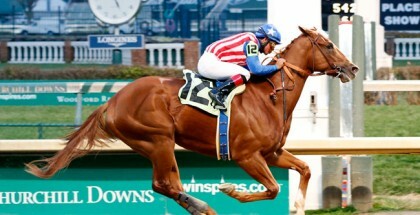 If you’re a fan of Lady and The Track, you know I’m not jumping on the Will Take Charge bandwagon now that he’s winning. What’s even better, now that the shady electrical device conspiracy exists, I like him even more! Secondly, I would like to see Speak Logistics come in the money. Plesa’s 2013 early Triple Crown contender Itsmyluckyday sustained an injury that sidelined him until mid-October. 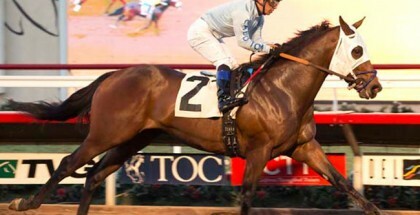 It would be amazing to see him bring home the win this weekend with Speak Logistics. Lastly, Fury Kapcori was on my mind all week but now I’m feeling Transparent and Java’s War to complete my picks…for absolutely no reason in particular. Good Luck! Safe Run! And remember ladies, never place a bet with your lovers’ money, it’s simply bad luck! The Pennsylvania Derby is the 11th race of the day at Parx with a 5:45 PM post time. The Penn Derby takes place immediately after the $1 million Cotillion Stakes for three-year-old fillies. Gates open at 10:00 AM and the first 5000 guests will receive a free hat! P#2 PP1 Speak Logistics 5/1 Lopez/Plesa, Jr.
*Transparent & Romansh are “coupled entry” because Godolphin Racing, LLC, owns them both.